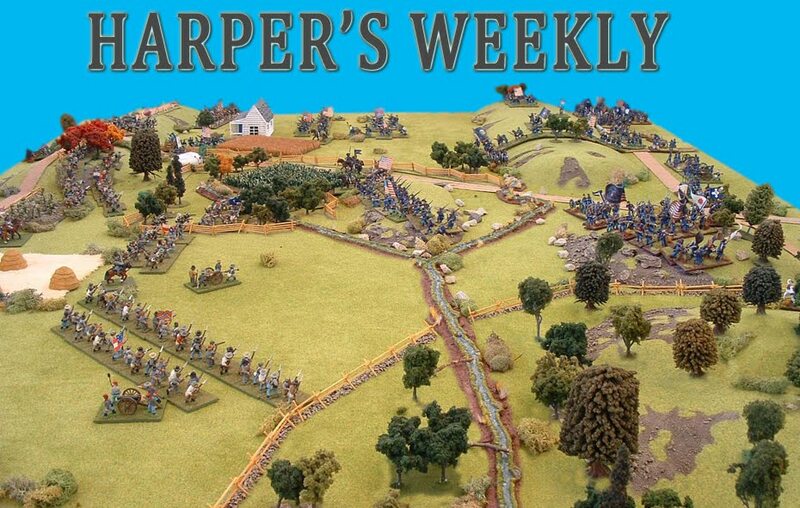 Harper's Weekly: Another Union unit ready to fight. Nick Garden has sent in this photo of his recently finished unit. Flags are a temp measure till I get my order. My camera and lighting is poor but here is: III Corp, 2nd Division, 3rd Brigade. 5th, 6th and 7th New Jersey Regiments. Great work on these guys Nick. 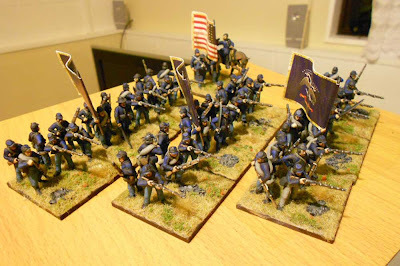 If anyone else has some photos of their ACW troops for this Gettysburg game please send them in. Chris tells me that he has nearly got the list ready to post!!! I will put it up on the blog as soon as I get it! 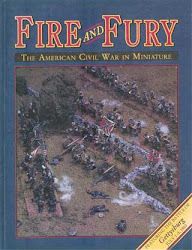 Nice work, glad to see someone else currently diving into the American Civil War. Sickles 3rd Corp except for Wards Brigade which Adam is working on. Great work so far! These are some fine looking units! What flags are you planning to use Nick? Not sure. I only have the first 3 or 4 regiments represented as having a flag every 2nd base looked silly. Will go shopping when I have them all painted so I have an idea on what it will look like completed.